Just added a permanent link on "My Other Sites" to the Northeast Ohio TV Log Page..(Should have done it a week or so ago) It also has been updated with some TV 8 dates up to 1967..Have a good day all. 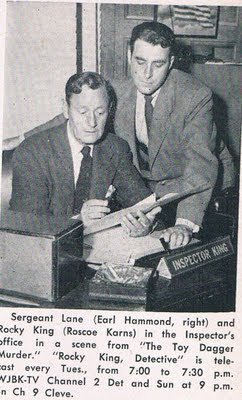 Scene from Rocky King, Detective..One of the more popular DuMont shows. 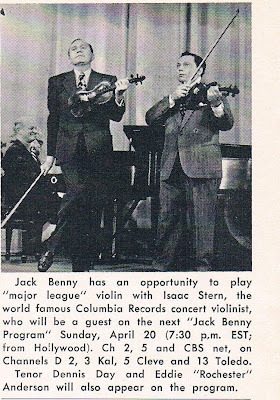 Jack Benny and Isaac Stern on the "Jack Benny Program"
An Issue has come up recently that, until now I havent had to do much with. 99% of the comments have been on topic and courteous, and while I dont mind an occasional "pointed" comment, everyone has been pretty respectful and I appreciate that. The only problems I've had really at all has been spam and that has been pretty rare..However, in the last week 4 variations of the same "comment" have been left-In Japanese yet! That in itself wouldnt be such a problem except that These were all under the same posting and as fast as I would delete it, it would come back.. Clicking the link to the Japanese text leads to an Adult video site..As a result, I am going to try moderation for a while, so I'll see your comments before they are published..Thanks all for your understanding..
Cover of "Mr. Magoo's Christmas Carol" The Making of the First Animated Christmas Special" by Darrell Van Citters..Released July 2009..
"Broadway" (Great to Be Back) Opening to "Mr. Magoo's Christmas Carol"
Animation Producer/Director Darrell Van Citters has recently put out a new book about the making of "Mr. Magoo's Christmas Carol"..From samples I've seen, it looks to be very well done.Closer to the Holidays, I expect to be able to fully review this book. 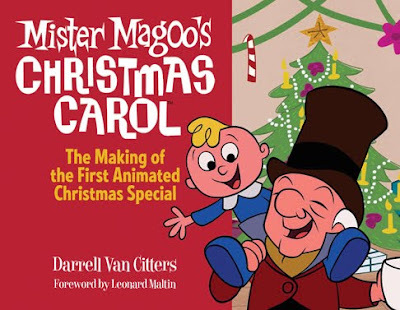 For now, here is the book's webpage..
Magoo's Carol is the first animated holiday special I ever saw and has a warm spot in my heart..
Our friend Ed Thomas has once again come through with some really good vintage photos..Mostly from WINW-1520 Canton "Win-Wonderful"
WINW-1520 Coverage Map-Notice their secondary coverage area doesnt even hit Akron..Because the FCC in their wisdom, allocated both WINW and WKNT Kent. Ohio 1520 Khz with 1000 watts power in 1966..A situation still in effect today..
Pictures from WINW-Top:WINW Car presumably used for remotes and possibly news.second:Studio picture..Third:The WINW Lobby Fourth:Outside of the studios at 4111 Martindale Rd. NE, probably the late 1960's. 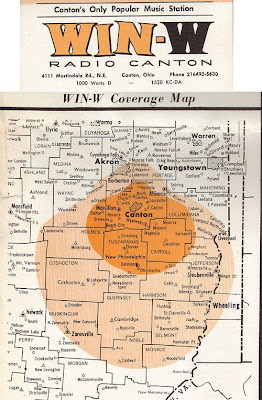 WFAH AM/FM Alliance Coverage Map..Probably 1969 or after..WFAH-FM was on 101.7 from 1950-68 (101.7 was WJER-FM Dover from 1968-2007 and is now WHOF Canton. ) 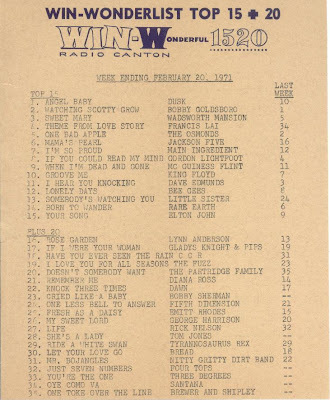 92.5 is now WDJQ (92.5 Had been WAND-FM Canton in the 1950's)1310 is now WDPN. 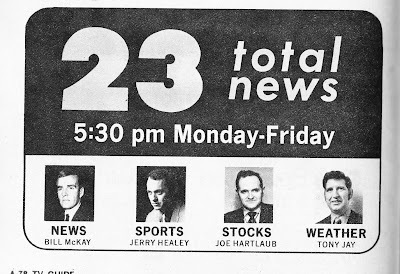 Finally:A very good looking copy of the WAKR-TV 23 logo from the 1970's..
As always, Grateful thanks to Ed Thomas for sharing these rarities with us.. I am always looking for new sites that have good historical content, videos, etc..from all over the country..Tom Oszman apparently taped a lot of newscasts and other programming from his native Minneapolis-St. Paul, Minnesota area from the 70's-90's..He has assembled much of this footage into his website, tcmedianow.com..Included also are specials and even a Bowling For Dollars episode..Also has current links to Twin Cities TV stations..very well done.. Album Cover..Les Paul and Mary Ford..
Les Paul, who revolutionized Guitar playing and recorded sound, passed away yesterday at the age of 94..He was mainly known for introducing the solid-body electric guitar to the world of music..He was also known for experimenting with electronic sounds in such a way that it ultimately changed the way music is played. Along with his then-wife, Mary Ford, Mr. Paul had his biggest success in the mid 1950's with many hit records, including "Vaya Con Dios"..That success led to a 5-minute TV series, "Les Paul and Mary Ford at Home" that was nationally syndicated..Sponsored by Listerine and Richard Hudnut, the series was seen in Cleveland on WJW-Channel 8..usually following The 6 or 11PM Newscasts..The show seems a bit hokey watching it today..Mary is doing something in the home while Les just happens to come along with his guitar...suggesting any reason to sing a song..Which they, of course, do nicely.. Here, from YouTube user GrumpyPolecat is a sample of "Les Paul and Mary Ford at Home".With Mary singing "I'm sitting on top of the World" and Les playing "This Can't Be Love"
Interesting what they could do with what amounts to 4 1/2 minutes..set up a storyline, do 2 songs and a commercial or sometimes one song and 2 commercials..Then wrap up the storyline and say good bye..There are some other samples of Les and Mary's shows in the related videos..
Our condolences to the Les Paul Family at this time..
Any info can be corrected or improved on..appreciate any feedback..Thanks.. UPDATE: (8-11-09 11:37 AM) As noted above, the Northeast Ohio TV Log will be on Blogger rather than Wordpress..I just feel much more comfortable with Blogger.. 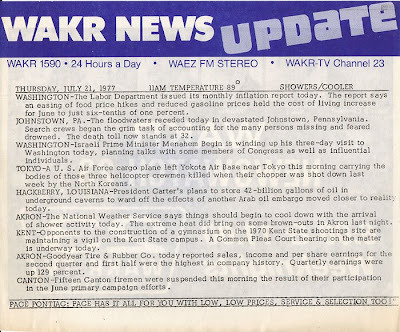 I plan on starting with actual content this week..While It will be on Wordpress, I may move it to its own webpage in the future..
WAKR News Flyer distributed in area restaurants in the 1970's. 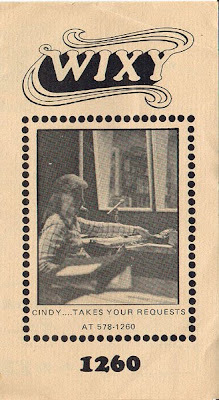 This one is dated Thursday, July 21, 1977..Courtesy Ed Thomas.. 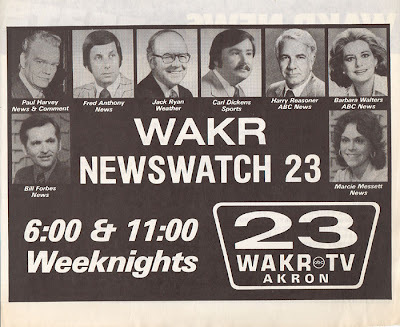 Here, from YouTube and wksufreshair, is the entire Newscast of WAKR-TV 23 in Akron from September 22, 1981..Anchors are Mark Williamson and Tom Shay, Veteran Jack Ryan with the Weather and Frank DeMarco with Sports..A glitch at the beginning..While the graphic states it is "The Late Report" The announcer says its the "Early Report"
"23 Newsday" is in 4 parts..The 4th part had extra footage of WKYC-TV 3 Sports, presumably from the same day..Williamson is now Communications Director for the City of Akron.. This is a real find..While it has been fairly easy to find newscasts and other programs from Channels 3, 5 and 8 on YouTube and other sites, footage from other local TV stations has been much harder..Thanks to wksufreshair for sharing..
At the end of this is a few minutes of a Channel 3-WKYC-Special Report with Jim Mueller-The Sports with Joe Pellegrino..Doug Adair and Dave Patterson are the anchors..
Side Note:Am in the planning stages of the new Northeast Ohio TV Log as I mentioned last post..Hope to begin working on it next week..
To begin with, I want to share a comment on my recent "End of Analog TV" post that an anonymous poster left yesterday..interesting to say the least..
"WXEL-TV in Cleveland? I think someone is confused. 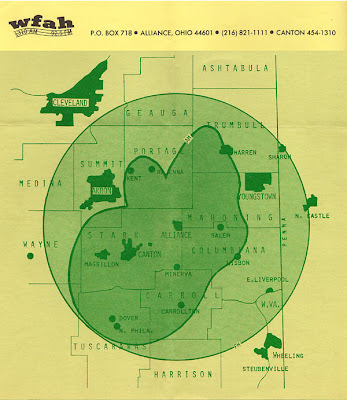 The only station I can remember in this area with a call sign anything like that was WXEN-FM (now WVMX or whatever--I never listen to the darn station) in Cleveland. All my life, Cleveland's channel 8 (not 9--where do people get this idea?) had a three-letter call sign. This channel was also a CBS affiliate for over four decades, until Fox bought it out and the CBS affiliation went to channel 19, which no one without cable west of Cleveland could get very well. Why couldn't they have left CBS on station eight and put Fox or whatever on number 19? Other major cities in this country, like New York, Chicago, et al. have had their TV stations on the same dial numbers for over five decades. Why should Cleveland be any different? Cleveland never had a channel 4 station that I can remember, either. 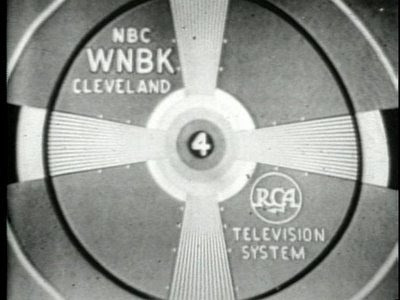 All of my life, NBC has been on channel 3 in northeastern Ohio"
The answer is that all over the country, TV stations didnt have a great deal of transmitter power at first, plus with a limited number of stations, you could have say, Channel 4 Detroit and Channel 4 Cleveland close by without a problem... As the early 50's came around, stations wanted to up their power, well in situations all over the country, It was found that upping power at one transmitter would cause interference at close by stations. 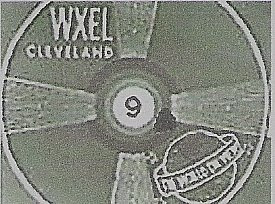 plus other stations were ready to go on the air on adjacent channels..This was why WXEL (WJW) Channel 9 moved to 8, to allow for WSTV-9 in Steubenville, Ohio in late December, 1953.. Some stations may have much more info than others, and this may end up being in two parts..My goal is to make this a permanent page, with logos, etc..depending on how things go..Information will be from Wikipedia and what weve already done on the blog in the past, and other sources, such as official station histories..As Ive said before..anything I might be wrong on I dont mind being corrected..I want this ultimately to be a collaborative effort..Thank you all and have a good day..